This is a small, four-drawer dresser that could be used as a tall nightstand. 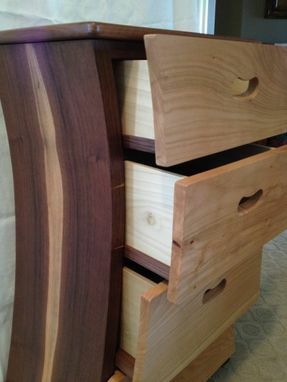 It's made of black walnut and sweet cherry. 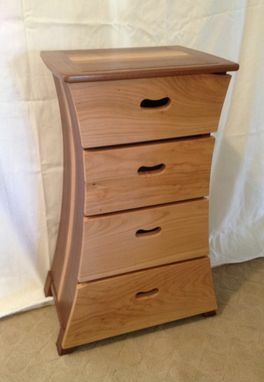 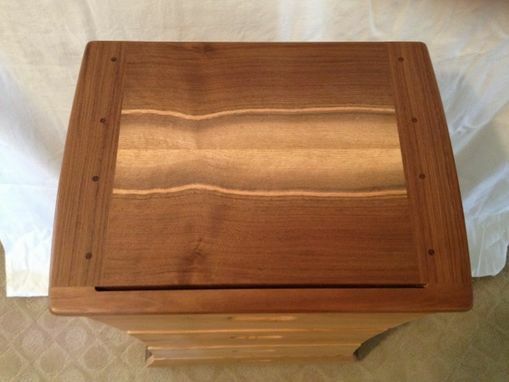 The curved sides and the top incorporate some of the walnut sapwood as an accent.